Hezbollah was likely behind a rocket attack near an IDF post in Mount Hermon, say security sources in Lebanon. Hezbollah was likely behind a rocket attack near an IDF post in Mount Hermon early Saturday morning, security and military sources told Lebanese newspaper The Daily Star on Sunday night. 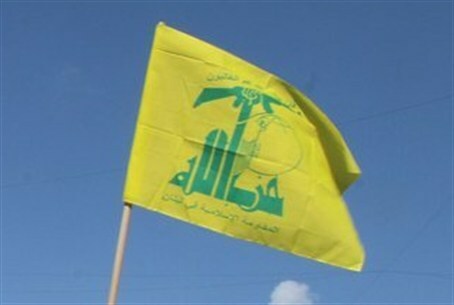 The officials said that the attack was Hezbollah’s retaliation for alleged Israeli airstrikes on Hezbollah targets near the Lebanese-Syrian border. Two rockets were fired at Israel in the attack, and no injuries or damages were reported. Some speculated the rockets came from accidental spillover from clashes in neighboring Syria, but senior security sources told the Walla! news website that the rocket fire may have been a deliberate attack by Hezbollah. Multiple military and security sources, who refused to speak on the record due to the sensitivity of the situation, told The Daily Star that the rocket attack was most likely staged by Hezbollah in retaliation for last week’s airstrikes. The IDF has been on "high alert" near the Lebanese border since Wednesday, when Hezbollah threatened to retaliate for the airstrikes that have been attributed to Israel. The IDF declined to officially comment on the alleged airstrike, but an Israeli security source confirmed to the Reuters news agency that there has been "unusually intense air force activity in the north", referring to Lebanon. A day later, an unnamed official told Time magazine that Israel was behind the airstrike and said it aimed to prevent delivery of missiles able to carry warheads heavier and more dangerous than almost all of Hezbollah's current massive arsenal. Prime Minister Binyamin Netanyahu remained elusive on the topic, saying, "We are doing everything that is necessary in order to defend the security of Israel." Lebanon has filed a complaint to the United Nations against Israel over the airstrikes, saying they were a violation of UN Security Council resolution 1701, which brought an end to the 2006 Second Lebanon War.